It’s April, but feels more like February. Urgh. I am very ready for warmer weather, which must be why, when thinking about cupcakes to make for my next experiment, my mind wandered directly to tropical flavors. 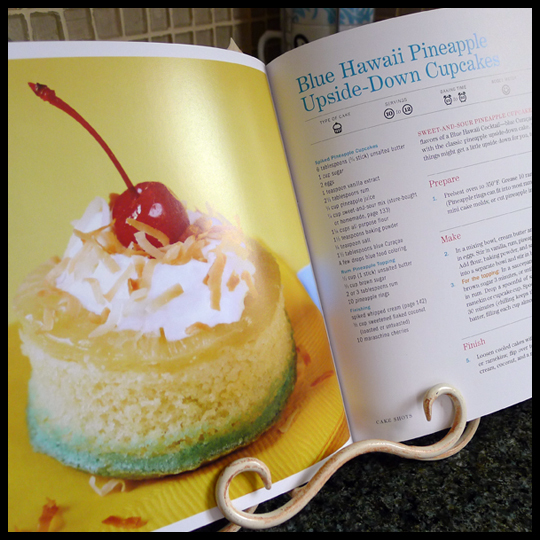 Coincidentally, I happen to have the Booze Cakes cookbook (which I have been eager to use) and found the perfect recipe to quench my tropical thirst: Blue Hawaii Pineapple Upside-down Cupcakes. I know… it’s not my own flavor combination, nor is it filled, but it was all I could think about making once I saw it. It was a complicated recipe, that included several challenges: homemade rum sauce and boozy whipped cream, dying and layering batter, and toasting coconut – all from scratch. 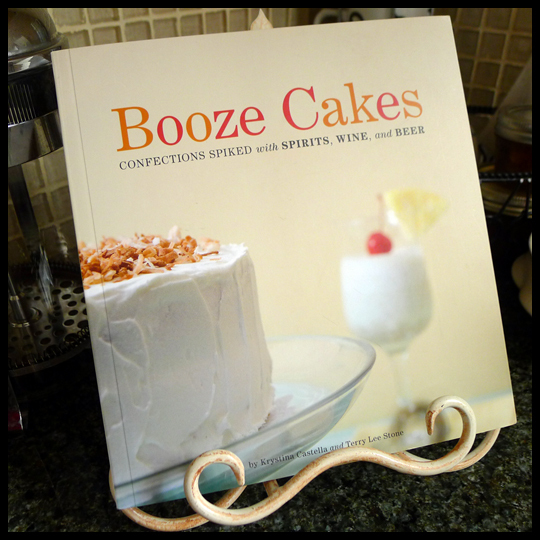 After gathering all the ingredients, including a bottle of Blue Curaçao, I was ready to bake. I only hoped my cupcakes turned out as beautiful as the photo in the book. First things first, the Rum Pineapple topping. Butter, brown sugar, and rum makes the sauce, and I was so excited to use the Appleton Estate Jamaican Rum I brought back from a trip. (Side note: If you go to Jamaica, buy a large bottle of this rum, it is totally worth it.) 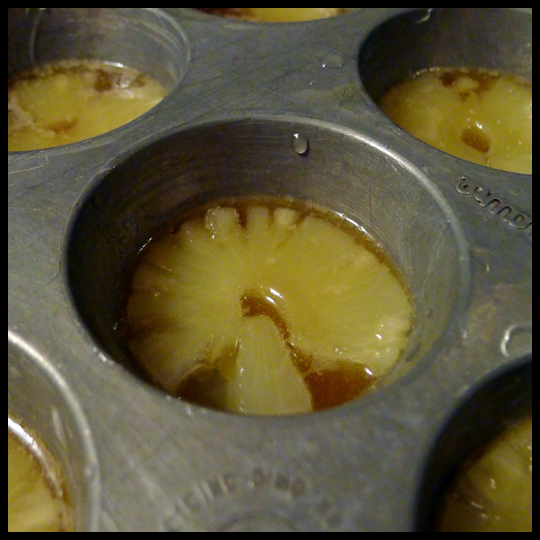 The sauce gets spooned onto the pineapple rounds at the bottom of the cupcake pan. No liners for this baking experiment, the top was really going to be the bottom for this cupcake. The Appleton Estate Rum made another appearance, and I couldn’t believe how much rum flavor came through in the whipped cream. Assemble and voila! I managed to create my own little teleportation device in the form of a cupcake… all together the flavors whisked me away to a tropical beach! I literally closed my eyes and imagined laying on a beach while drinking a pineapple and rum cocktail. The cake turned out a bit on the dense side, but it was so moist and flavorful that it didn’t matter. 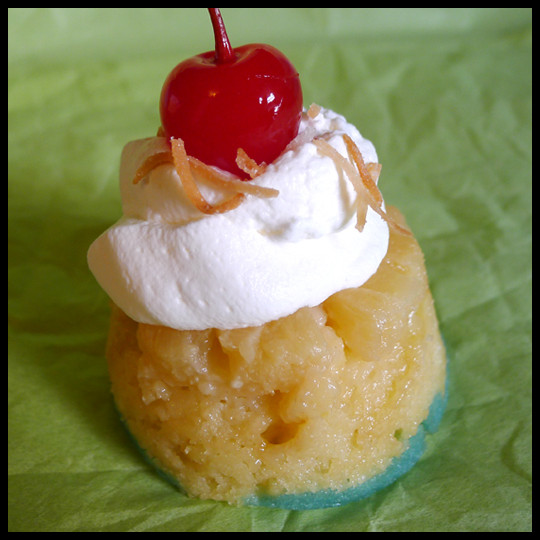 Boozy for sure: you could definitely taste the rum and the blue curaçao in the cake, as well as the rum in the whipped cream. On a cold too-much-like-winter day in April, a little bit of the tropics is just what this Crusader ordered! Moogie & Pap also made these cupcakes. To read about their results and to get the full recipe, click here. 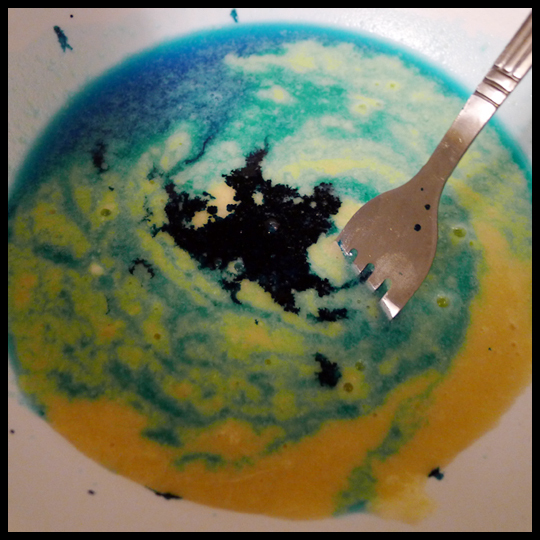 This entry was posted in Baking, Cupcakes and tagged appleton Jamaican rum, batter dye, Blue curacao, Blue Hawaii Upside-down, Boozy Cakes, cupcakes, pineapple, spiked, whipped cream by Crusader Elisa. Bookmark the permalink. This looks like a book I need to get so I can teleport myself through cupcakes too. Oregon gets lots of rainy chilly weather.